I have been wanting to try China Kitchen ever since I found out that they had scallion pancakes on their menu. I remember trying them out for the first time at Tao in New York and I just fell in love with the dish. 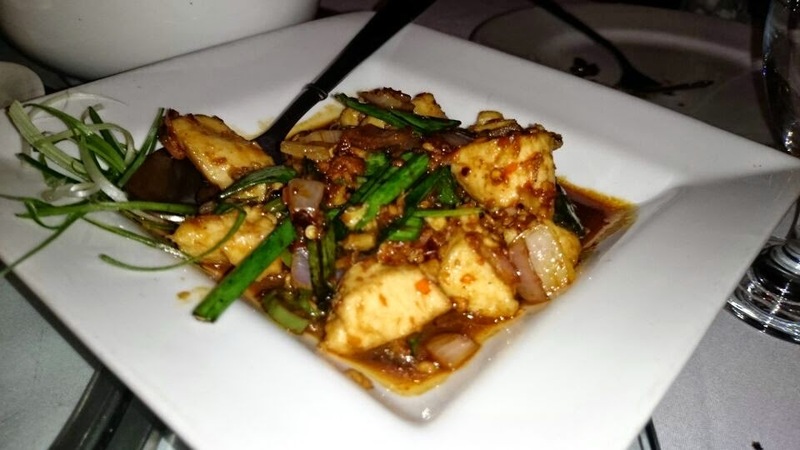 Simply put, they are similar to our lache kay parathay with sesame oil and scallions (green onions) as the filling served with a ginger dipping sauce. Simplicity personified but oh so delicious! 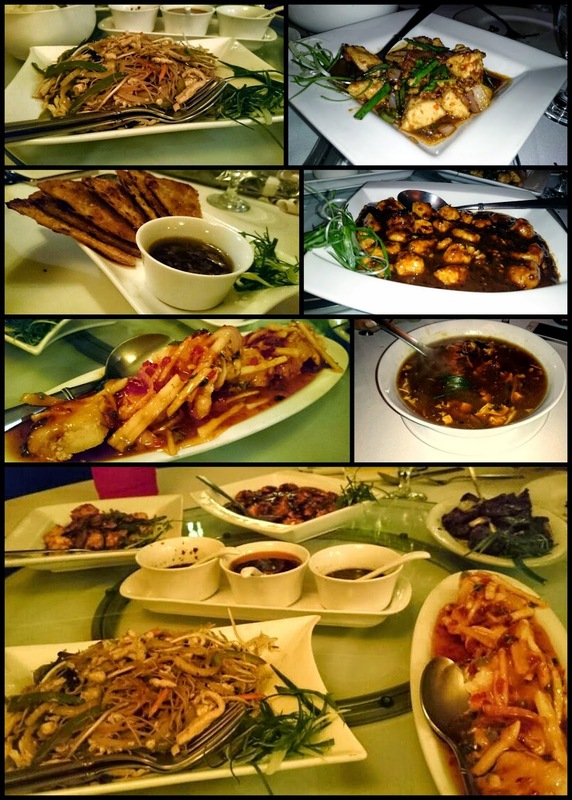 I finally got to go to China Kitchen last week and the food was AMAZING! 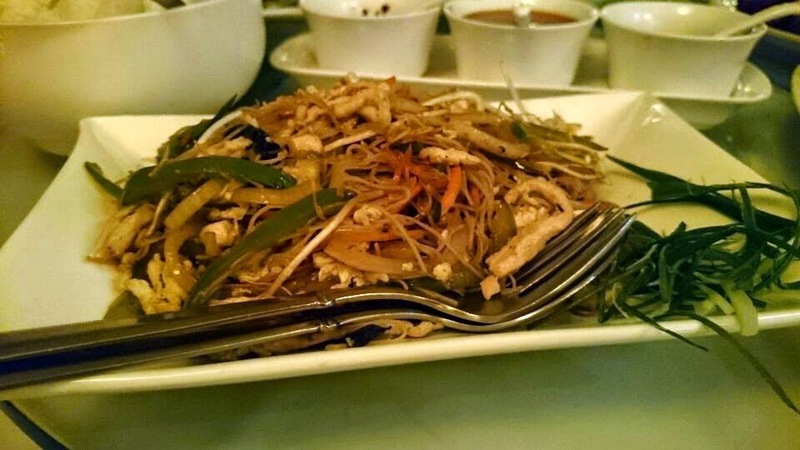 It brought back memories of proper Chinese food that I have had abroad and loved because every dish has a unique taste instead of tasting exactly the same! The first thing that you see when you enter the restaurant is the beautiful courtyard with life size Chinese statues and artifacts. 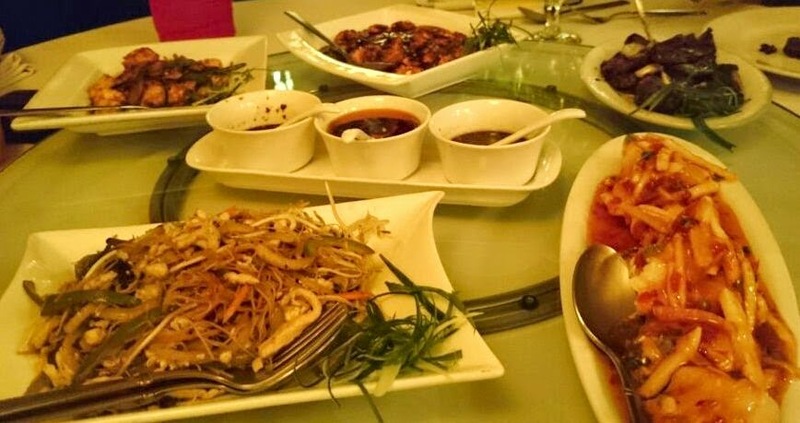 The inside of the restaurant is just as tastefully decorated with Chinese artwork hanging from the walls, oriental style pottery strategically placed around the restaurant and the beautiful red wooden doors. 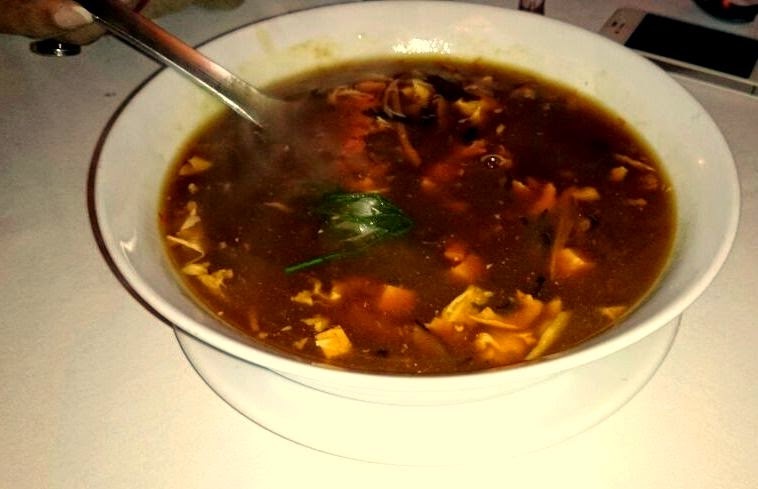 The moment the soup arrived, I knew that this was the real deal and we were going to be having some pretty amazing food - this was no red ketchup version but a proper smoky full flavored broth with the proper H&S soup ingredients - bean curd, black mushrooms & bean sprouts along with chicken of course! From the main courses, the Red Snapper was my favourite dish of the day - delicately cooked snapper in a salsa sauce that surprisingly incorporated apples was both a delight for the eyes and the taste buds. For a person who rarely eats beef, considering I ate two helpings of the beef steak with ginger & spring onions is an indication of how good it was. The Chengdu chicken made with hot bean paste came with a spice warning, and while delicious in its simplicity is not for the faint hearted. 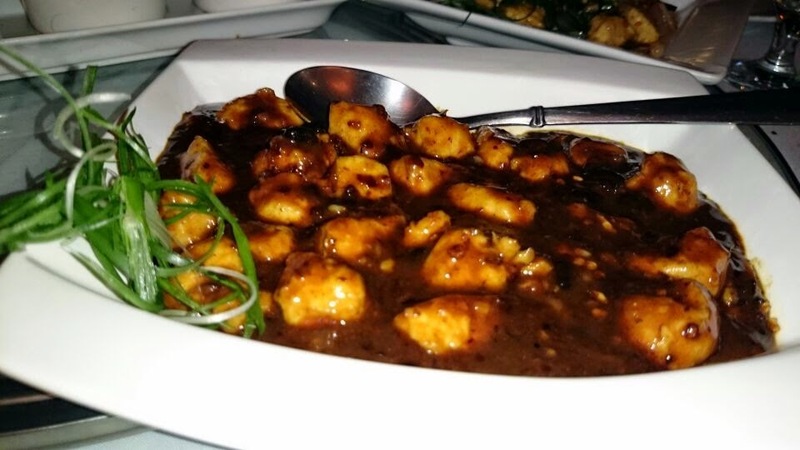 Our second chicken entree was the classic chicken in black bean sauce with a delicious salty distinct smooth sauce. The wok-fried Singapore noodles with stir-fried vermicelli were good but a bit neglected considering the uniqueness of the rest of the entrees. Unfortunately the thing that I was craving (the aforementioned scallion pancakes) did not measure up to the ones I had abroad - the ones here were just a little bit oily and not as flaky but the rest of the food, especially the hot & sour soup more than made up for it. From start to finish the service was excellent. The waiters were attentive but not annoying. It did take some time for the main course to arrive after the soup & appetizer round but we were enjoying the ambiance & company so much that it wasn't a concern. The best part was that the waiter knew the menu and guided us properly when I asked him for suggestions on what to order. China Kitchen stands apart from the other Chinese eateries/delivery places in town as it offers gourmet Chinese cuisine with items on the menu that I have yet to see anywhere else. The prices are a bit high but worth it considering the superior quality & taste along with the fine dining experience.